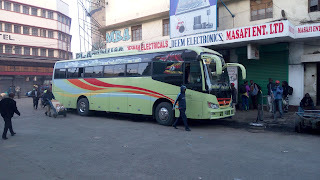 Arrived at Mombasa Office at 8.30pm, one hours before the official departure time of the bus from the office. 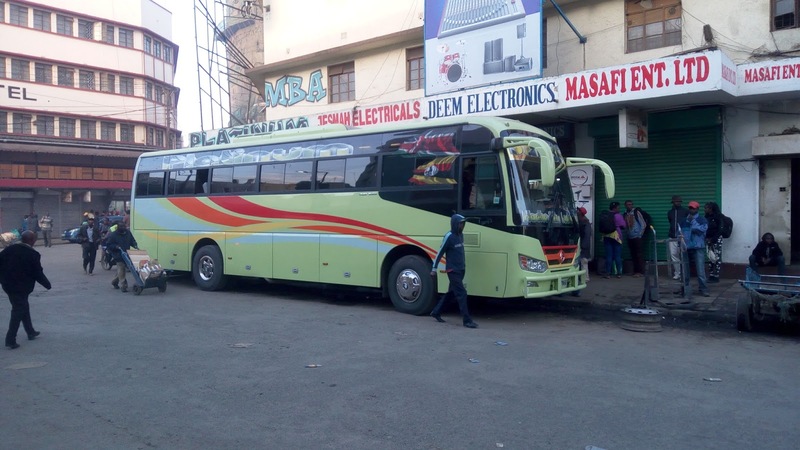 I went straight to the bus counter to pay for my reserved seat as i had done so three days before the day of my departure from Mombasa. 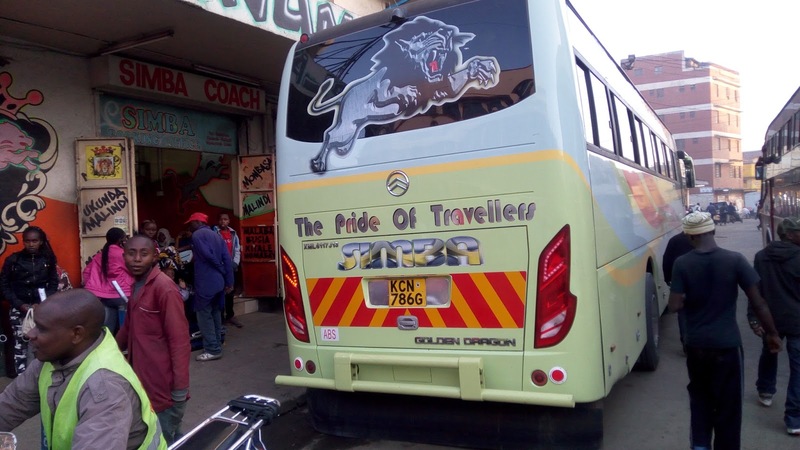 The one thing i like about Simba Coach is that you will never have the hustle of last minutes rush to Nairobi as there are buses ready to cover up for the increased number of travelers even during the rush hour time like the Christmas festivals. After paying for my ticket and being issued a handwritten ticket by the booking clerk which looked kinda odd to me. I knew Simba was digital enough to issue printed tickets with the readily available computers and printers at tye counter covered with thick dust. You can just guess its been months since their last use. We departed at exactly 9.39pm, some few minutes from the departure time with some lingala music from one of the local radio stations at the coast. We were served with drinking water plus a cake. I expected the usual soda but my expectations were null. 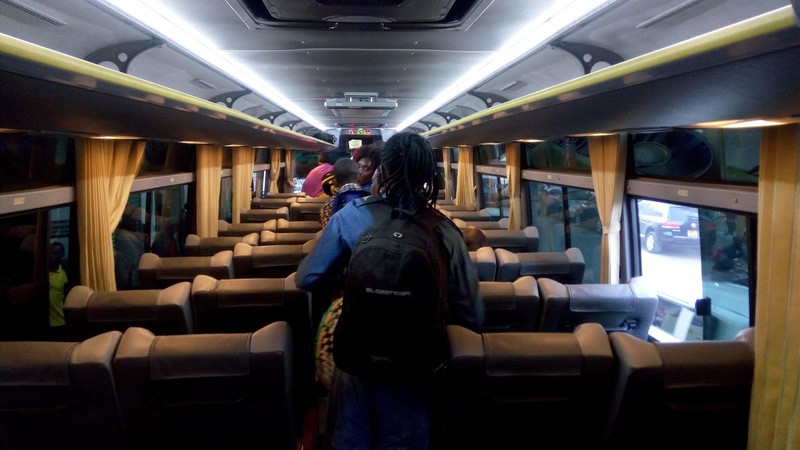 The air condition in the bus was fully functional until with reasons known best by the operator was turned off leaving us a no other alternative but opting for the windows despite cries from one of the passenger on the hot conditions in the bus. We had some few traffic along Changamwe, Jomvu road due to lorries on the road and the bad conditioned road. We had a smooth ride after, doing the 'mikeka' thing to lorry and buses like Crown, Coast Bus among other moving vehicles. Got a little bored with watching the Jungle Movie from the little screens the bus had and got myself a little nap. Arrived in Nairobi at 6.40am safe and sound. I advise the management to check on the legroom space to maximize profits. Passengers cannot be fighting for comfortability of reclining in the buses. The entertainment should be checked on the radio kinda entertainment is old aged.